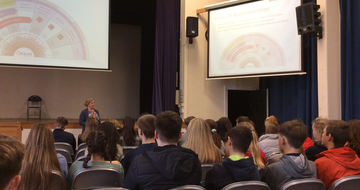 Melanie Ringer from OxLEP visited school last week to speak to Year 12 and 13 students about the apprenticeship pathway. About 10% of our year 13 students gained places to an apprenticeship last year. Melanie also trained our sixth form tutors at the beginning of the year to become more skilled at guiding our students through the apprenticeship application process.